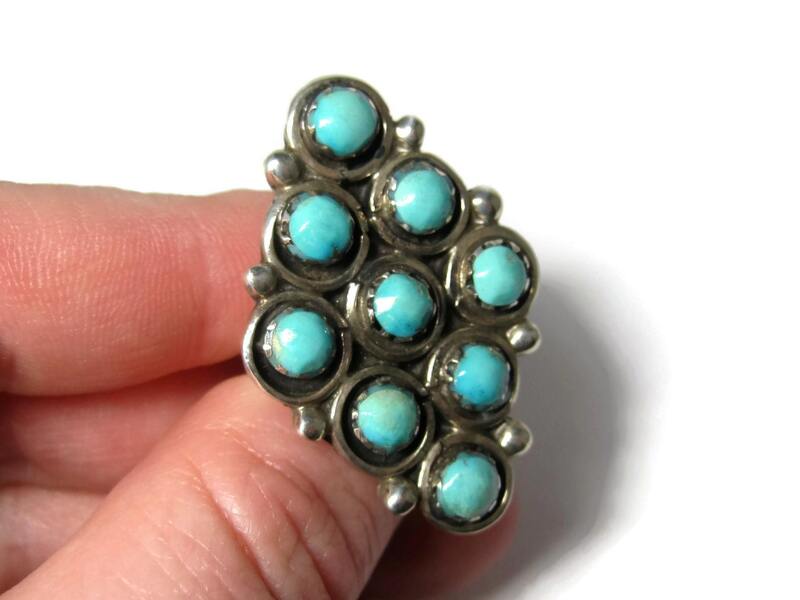 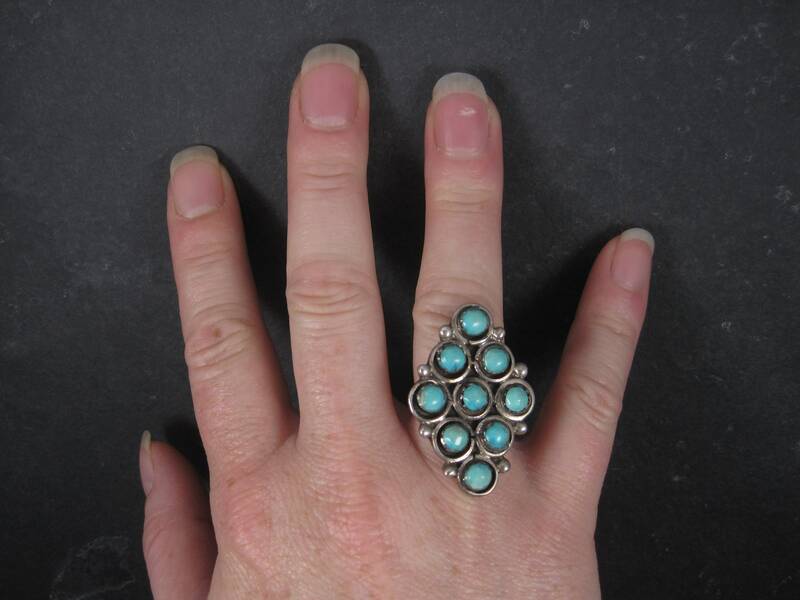 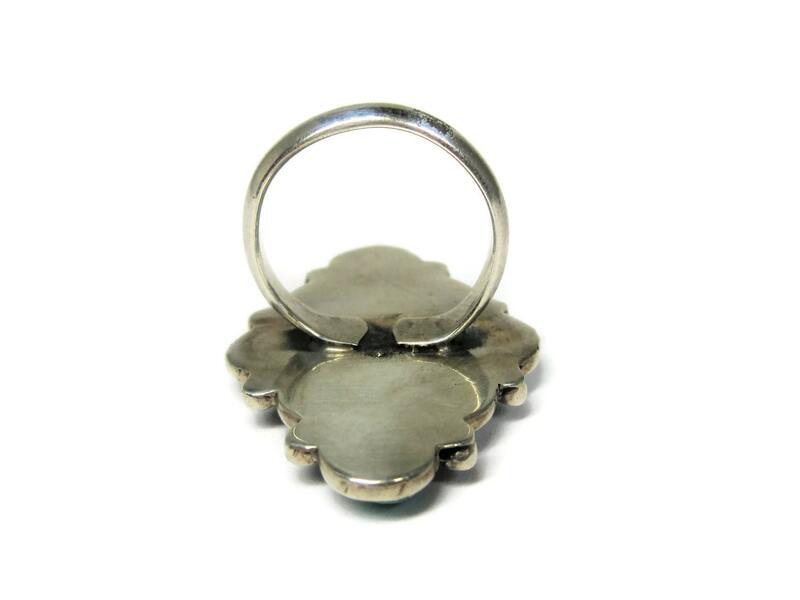 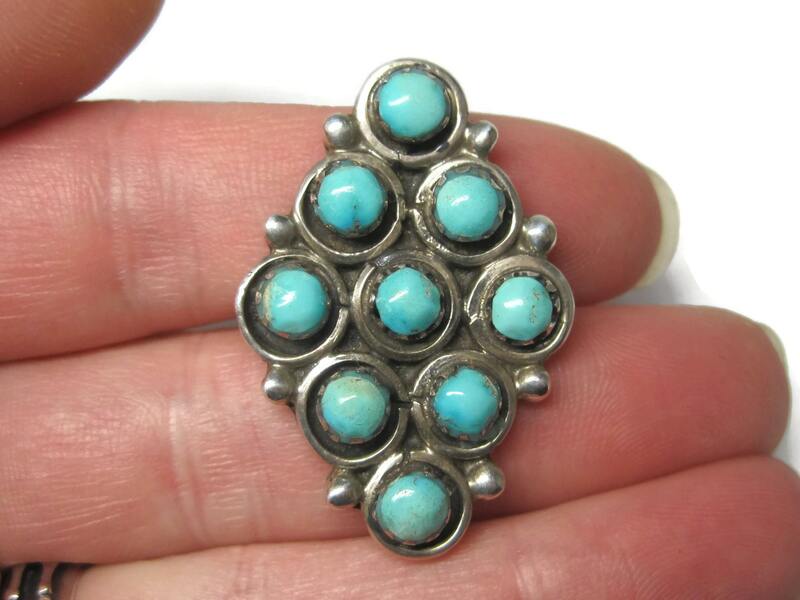 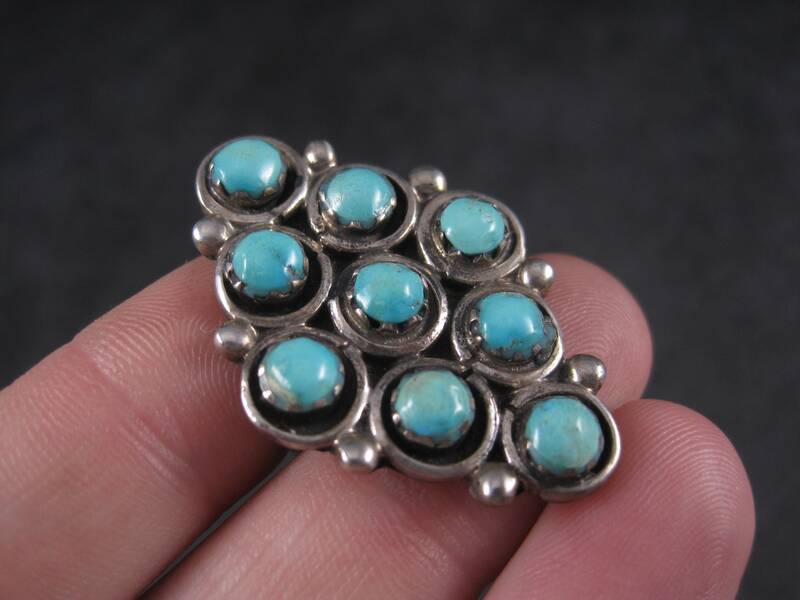 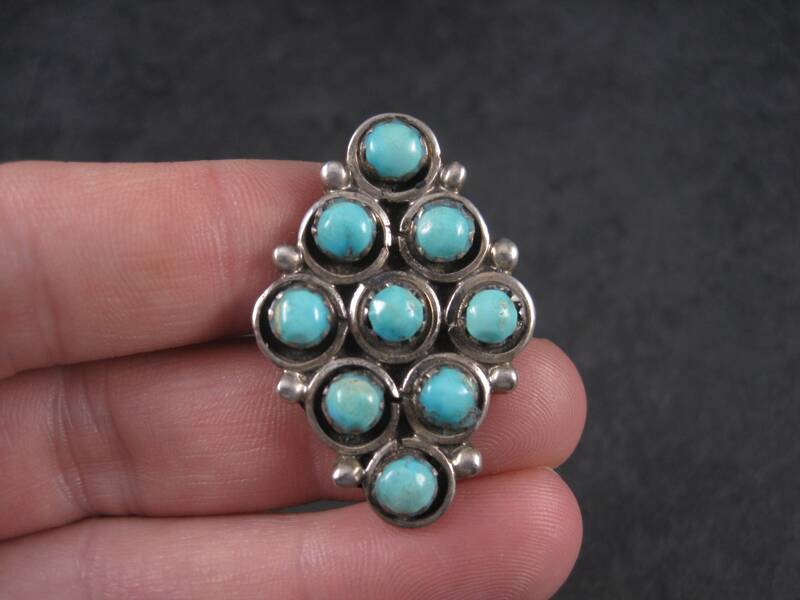 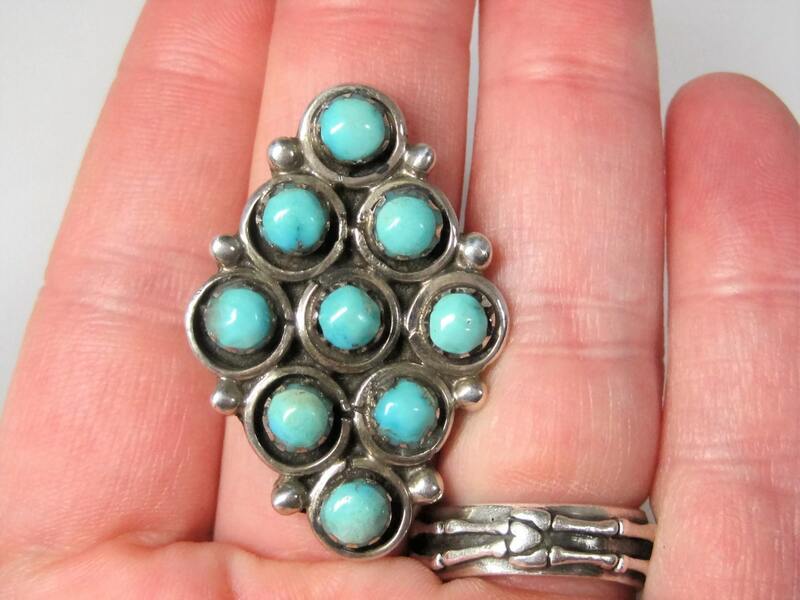 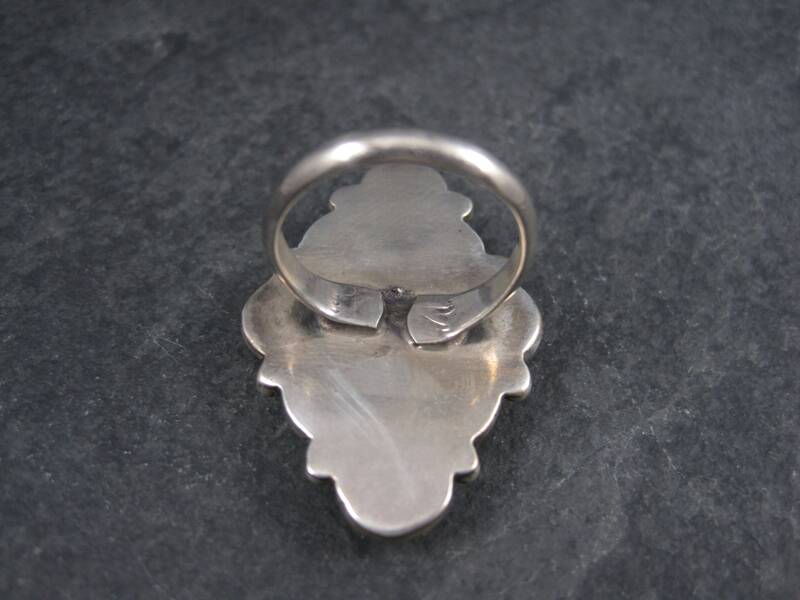 This gorgeous vintage native american ring is sterling silver. 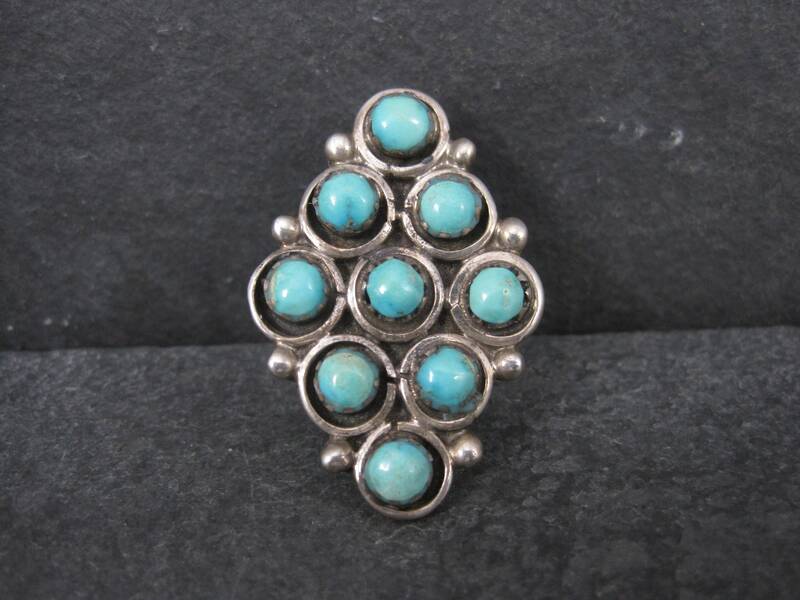 it features 9 "snake eye" cut turquoise gemstone, each measuring apx 6mm. 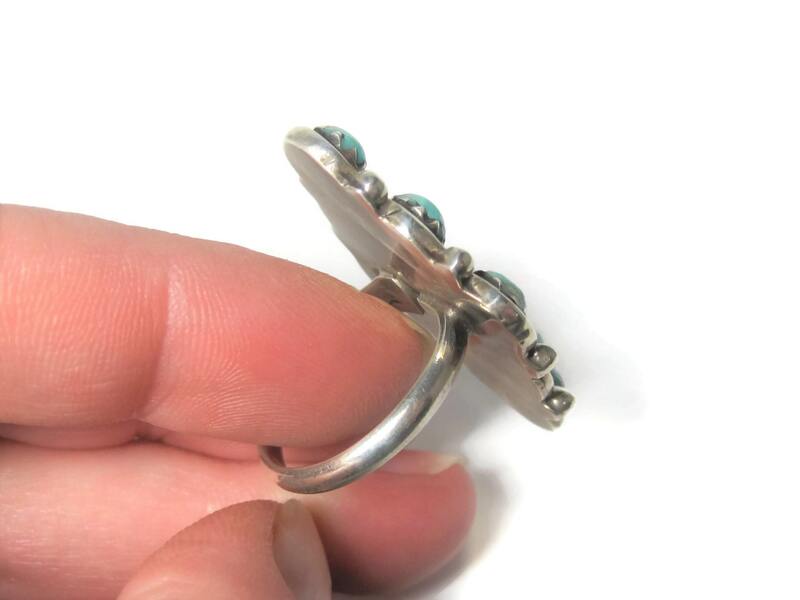 The face of this ring measures 1 inch east to west and 1 7/16 inches north to south.